Okay, so. Most of you know that I'm torturing myself by training to run a half marathon in about 3.5 weeks. In addition to running 3 days a week for my training, I've been spending time lifting weights and cross training 3-4 times a week. Over the past few months of workouts, I've found that there are a few things that I just have to have. 1. Dixie cups. Yes, you read that right - dixie cups. Fill those puppies up with ice and pop em in the freezer. Use them when you get joint pain or shin splints - take them out of the freezer and massage your sore areas with the cups until the ice runs out. This has worked wonders for me. I can thank my little brother's girlfriend for this idea! 2. Polar FT7. I seriously cannot work out without this thing. I love that it monitors my heart rate and tells me how many calories I'm burning during a work out. 3. Good shoes. This is of the utmost importance, especially if you're running. Go to a specialty running store and get fitted for some good shoes. If you aren't running and are just lifting weights, make sure you've got shoes that fit well and offer support. 4. 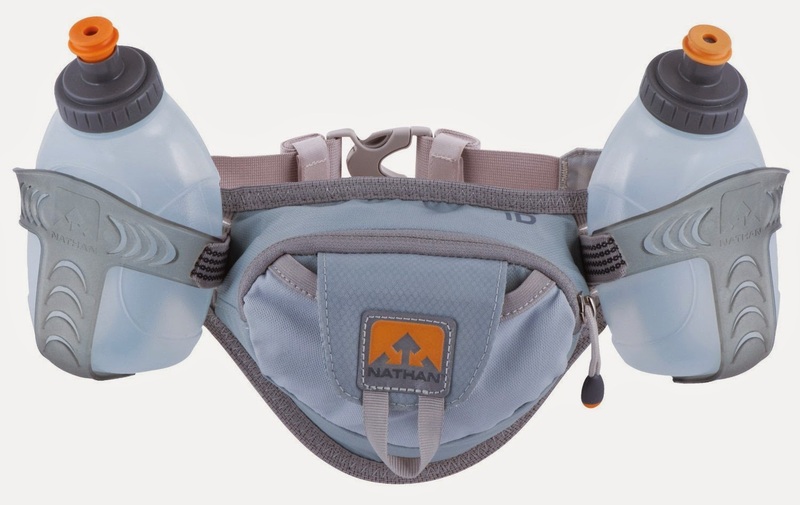 Hydration belt. Again, this is more for running long distances (or hiking, if you live near mountains), but it's been a lifesaver. Total necessity. Mine holds tissues, 20 oz of water, my stun gun, snacks, and my cell phone. 5. C9 Champion Tech Tee. This shirt is great - before I found it, I couldn't wear shirts with sleeves while working out. 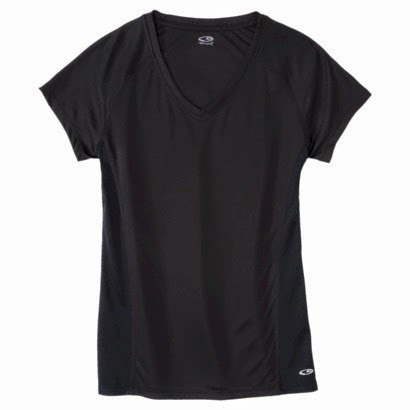 This shirt changed it all, though - it keeps me cool and dry and wicks sweat like no other. 6. C9 Sports bra. Again, AMAZING! Look, I know I've gone from a D cup to a B cup in a matter of months, BUT either way, this bra holds the girls in nice and tight, and... if I get chilly, no one knows, if you know what I mean. 7. 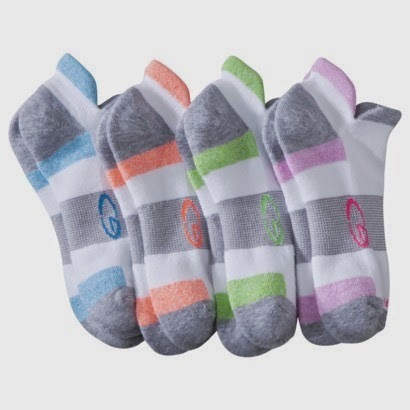 Good socks. 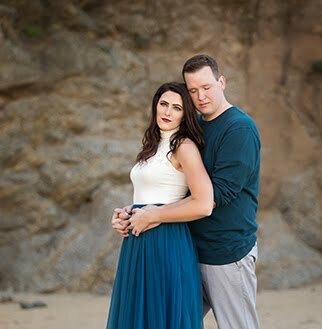 I like these ones (I promise this is not a sponsored post for Target). When you're wearing them, it feels like you're walking on a cloud. Basically, you want your feet to be taken care of. 8. Headband. I need to keep my hair out of my face while working out, and a headband never fails. 9. Protein. 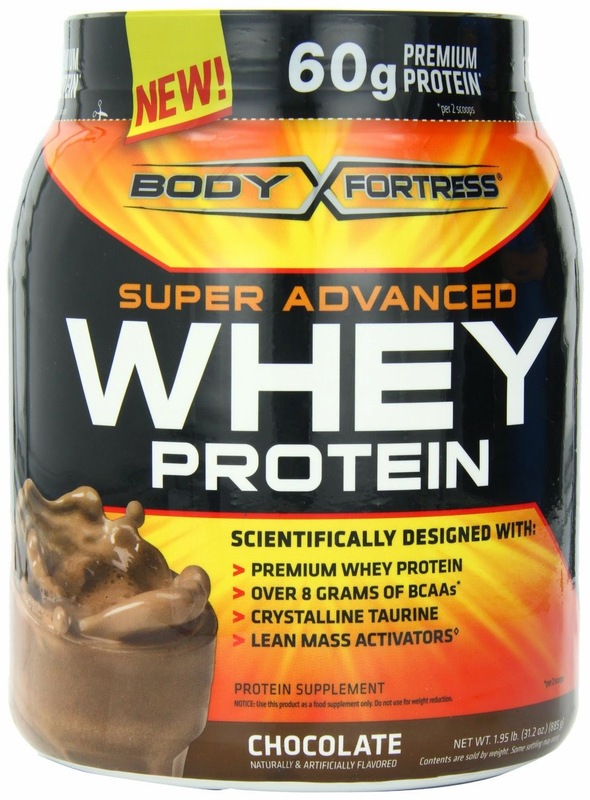 I'm just getting into this, but you can't go wrong mixing a scoop of this whey protein shake with almond milk, ice, and a banana. BOOM. Delicious - thank me later. 10. MOTIVATION!!!! This can come in the form of awesome music, a workout buddy, or a goal that you're trying to meet. You won't work out if you're not motivated to do so, so download an awesome playlist, find a friend, or sign up for a race or competition. Nothing can be done without it. What are your workout must-haves? Anything I missed? Nike Run app on my iPhone! I'm training for my 5K with that and C25K and it has training options for different races as well. Also a dang good workout playlist. Love this list! 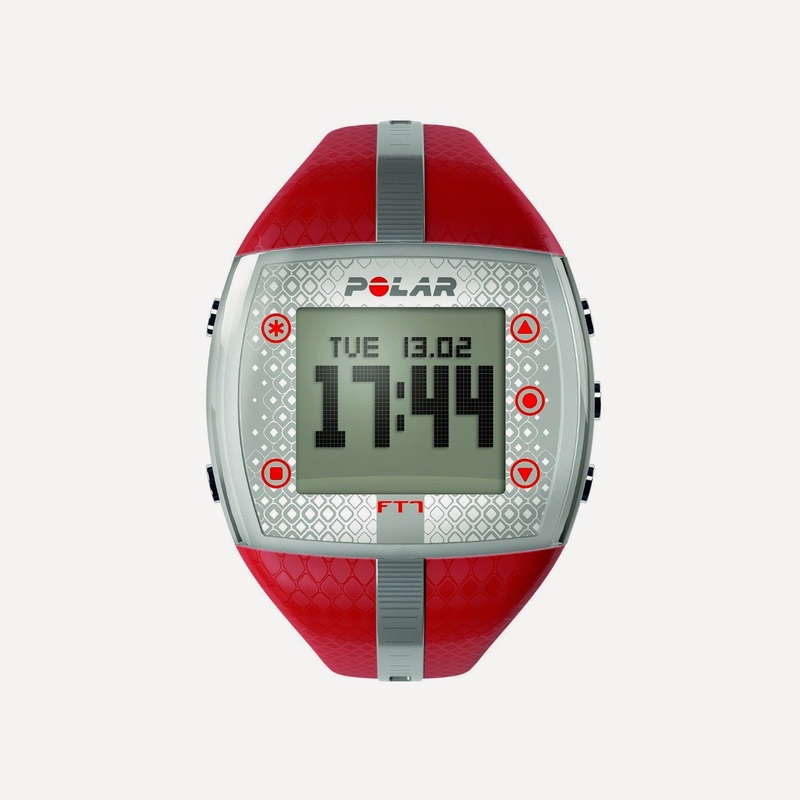 I can't wait to get a Polar!! I cannot stand wearing watches/basically and monitoring device while I work out. I have to carry my iPhone cuz the strap thingy around my arm drives me nuts. I just get too sweaty (TMI, you're welcome) and then they get itchy and I get so annoyed so fast! Jarrod drinks that whey, but just mixes it with milk. I might mix it up with a banana for him today. He really likes the cookies and cream flavor, but said the chocolate/peanut butter was a close second. I need to get that sports bra stat! I'm pretty simple when it comes to working out. My only necessity is my Garmin for my runs. It tracks everything for me and then uploads to the computer. I love it!